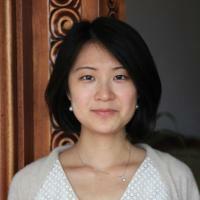 Xuenan Cao is Ph.D. candidate in the Program of Literature at Duke University. She is interested in various disruptive forms in Contemporary literature and art. I am interested in forms of (im/inter-)mediation in the technology of communication, for instances, internet, television, and physical transportation. The theoretical difficulty I have encountered, and wish to overcome through my research, is that the phenomenological and subjective dimensions of these technology-saturated assemblages are often underspecified. My research centres around the affective and political implications of communication technologies in the post-socialist China, extending to studies of the economic undergirds of them in the processes of urbanization and technological modernization. My current project explores the logistical aspect of digital communication, which an attempt to explain the much-debated “post-modernism” in aesthetics in contemporary China. My tentative argument is that the concurrent aesthetic trend of data-based and fragmented cultural forms (such as Reality Television and online literature) is symptomatic of the desire-charged logistical networks. By the logistical aspect, I focus on the networks of connections which include physical distribution and information control, borrowing concepts from modern logistics. Logistics at the same time entails forms of control and mediation and prescribes logics of immediate affects. Both mediated and immediate, technological thresholds are points where flows of desire and economic-political interests meet, and where tensions between fractured subjectivities arise. Cao, X. "Village Worlds: Yan Lianke’s Villages and Matters of Life." Journal of Language, Literature and Culture (May, 2016). Cao, X. "Mythorealism and Enchanted Time: Yan Lianke’s Explosion Chronicles." Frontiers of Literary Studies in China 10.1 (2016): 103-112.